They’re secure, reusable and largely standardized. They can be used to haul everything from expensive cars to deadly snakes to adorable kittens. But shipping containers aren’t just about storing things as they move from Point A to Point B. They’re also increasingly being used to create standing structures. Case in point: Clothing company Aether’s new storefront in San Francisco’s trendy Hayes Valley neighborhood. The building, which houses the Los Angeles-based retailer’s first stand-alone location, was conceived by Paris-based designer Thierry Gaugain and constructed out of three 8″ x 9.6″ x 40″ shipping containers piled one on top of one another. The three-story concept store also contains a custom glass encased cantilevered lounge, reclaimed oak ﬂoors and a conveyor system that lets employees on the third floor interact with customers on the first. The project is the most eye-catching development at Proxy SF, a temporary two-block project that fills a stretch of previously vacant lots. Other businesses that have sprouted nearby include popular caffeine injection site Ritual Coffee Roasters and German restaurant Suppenkuche’s attendant Biergarten. Converting shipping containers into permanent and semi-permanent structures has become a common practice around the world, as it’s often more expensive to ship the boxes back to their country of origin than to simply buy new ones. The resulting surplus of containers create a relatively cheap (and pretty darn cool-looking) alternative to traditional building techniques. Shipping container architecture gets a lot of encouraging coverage in the design world as a trendy green alternative to traditional building materials, and seems like a smart choice for people looking for eco-consciousness. However, there are a lot of downsides to building with cargo containers. For instance, the coatings used to make the containers durable for ocean transport also happen to contain a number of harmful chemicals, such as chromate, phosphorous, and lead-based paints. Moreover, wood floors that line the majority of shipping container buildings are infused with hazardous chemical pesticides like arsenic and chromium to keep pests away. Comments Off on Coolest Storefront ever ? 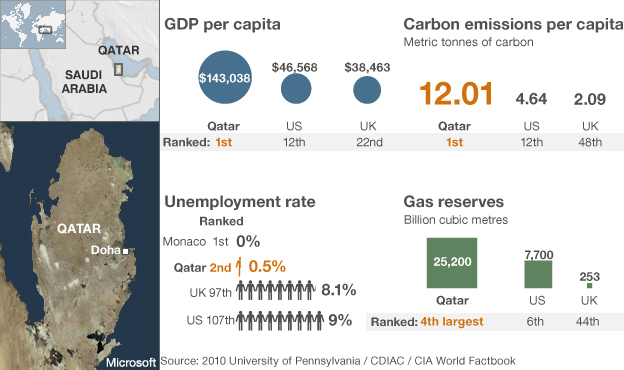 ‘Known for being unknown’; such was Qatar, the tiny Persian Gulf state that often appeared merely as an appendage to its neighbour Saudi Arabia. Members of Qatar’s ruling Al Thani family had so often deferred to Riyadh for fear of causing tension or attracting undue attention to themselves. Quiet and inoffensive was the modus operandi of the Qataris for so long. Rich in oil and gas, they were poor in manpower and the state resources necessary to defend themselves against the region’s dominant powers. But the Emirate has seen a remarkable transformation in recent years. 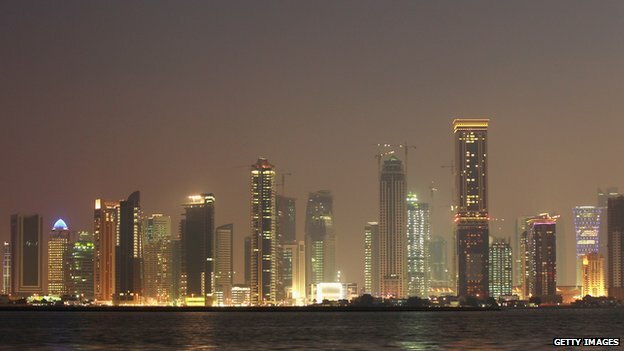 Qatar is everywhere, utilising its immense wealth to buy skyscrapers, football clubs, hotels, rare art collections, support rebellions in the Arab region, and play a central role in the diplomatic affairs of Arab politics.